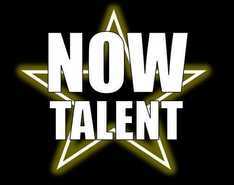 NOW Talent 2019 - win cash prizes!! NOW Talent is back for 2019! Entries open on Sunday 13th January at 8am and close either 6 weeks before each competition or when the competition is FULL. In 2018, all events filled well before the deadline! Plus $3.85 admin fee per invoice (which goes to Comps-Online who process our entries for us). There are NO extra competitor fees. All performers receive a FREE Performer Pass which will gain them entry to all sessions in the competition they are competing in. There are NO REFUNDS once an entry has been made, unless the event is cancelled. If a competitor is unable to perform due to illness or injury, they may contact us to discuss a transfer into one of our future competitions (a Medical Certificate will be required). All performers receive an award for every routine - including individual group performers! Discounted 'Season Passes' are available for competitions with multiple sessions. All persons entering the building who are not performing will require a Spectator Pass even if they intend to stay in the dressing area. Passes are given out as wristbands which will be checked regularly both Front of House and backstage. Teachers who have entered groups will be able to claim a FREE Teacher Season Pass - please contact us in advance of the competition to discuss your requirements. Each section will be split into age groups based on the entries received. There will be no more than 10 competitors in each section and no more than 3 years between the youngest and the oldest in the section. Ages are taken at the first day of the competition. Duo/Trios and Groups are calculated using the 'average age' rule (the age of all competitors are added together and then divided by the number of performers in the group - all decimals are rounded down). All competitions are open to all ages, however, all entries from performers aged 18+ should be placed in Open Talent. Individuals can enter this section as many times as they like. Teachers (and routines containing teachers) must also be entered as Open Talent. Group sections will be split into Small Group (4-9 performers) and Large Group (10+ performers) when there are sufficient entries to do so. ​ANY performance by someone aged 18+ or where the average age of a Duo/Trio or Group is 18+. Performers can enter the above section more than once as long as each performance is different. Performers who enter more than once will compete against themselves. Teachers (and performances containing teachers) must be entered as Open Talent. No live animals. No fire or other dangerous activities. Music must be uploaded to the Dropbox folder supplied to you after you enter. Each competition schedule is created as quickly as possible after entries for that competition close. This is either 4 weeks before the competition or when the competition is full. Competitors will receive confirmation of their performance days/times by email as soon as they are ready. Copies of the full program are available to purchase for a small fee at the event. Performance Titles must be sent to us at least 4 weeks before the competition in order to be included in the printed program. Any changes to titles after the 4-week deadline must be made at the event - there is no charge for changes. It is not possible to change entry sections once the program has been created. Every performance is awarded with a Ribbon - these are graded as follows: Participation, Bronze Award, Silver Award, Gold Award, Platinum Award. The level of award given is based on the overall score for that performance. Medals are awarded to those who place 1st, 2nd and 3rd in each section. Groups receive one Trophy for placing 1st, 2nd or 3rd. All group performers also receive a ribbon. To qualify for Finals, you need to receive a Bronze Award or higher at one of the regional events. When you qualify, you only qualify in that genre. However, a maximum of TWO extra entries can be entered at Finals provided you also enter at least one qualifying entry. Finals sections will be split into ability levels – Bronze, Silver, Gold & Platinum – based on your qualifying level. Ability levels may be combined if there are a low number of entries in that section.